As exciting as it is that the Union have qualified for their third U.S. Open Cup Final, it’s important to remember that there’s still over a month left until that fateful Wednesday. That month is full of regular season games, which are games the Union need to take seriously if they want to bring the team back to the playoffs at the end of this season. This weekend’s challenger is making a short trip to the friendly confines of Talen Energy Stadium. But despite their geographic proximity, these teams are coming from a very different philosophy. While the Union acknowledge they’re bringing a knife to a gun fight, New York City is backed by the financial and logistical might of City Football Group, one of the wealthiest and most powerful sporting empires in the world. “Built not bought” is the obvious cheeky retort in this kind of situation, but it raises an honest question: can a team build something stronger than what another team can buy? If you follow MLS as a whole, you’ll regularly hear New York City FC mentioned as one of the top preforming teams in the league. And they do deserve that recognition. Even after head coach Patrick Viera left the City Football Group to coach “back home” in Nice, they’ve consistently been one of the more active and aggressive teams, currently sitting eight points clear of the scrum for Eastern Conference playoff spots number four, five, and six. But even though they’re tied on points with their New York neighbors, they’re not the complete package like the Red Bulls are. Their high-horsepower offense has been let down consistently by a leaky defense. And that is a problem made only worse by goalkeeper Sean Johnson’s lingering shoulder injury. With him unavailable, replacement head coach Domènec Torrent has had to make do with Brad Stuver, an Ohio native who spent most of his time in Ohio on the bench or being lent out to USL teams. One thing the Pigeons have going for them is an ability to draw a card when they need it. In their last five games the opposing team has had a player sent off three times, and it’s hard to not see a correlation when you realize they didn’t win the two games where the other team kept their full 11. With a physical style of play and an apparent ability to get under the other team’s skin, the Union will have to demonstrate an unusual amount of discipline to ensure they keep the numbers on the field from turning against them. Fans who’ve been clamoring for a change in how head coach Jim Curtin organizes his offense are in for a treat. Fafà Picault is suspended due to yellow card accumulation, Ilsinho is dealing with a lingering quad strain, and David Accam continues to struggle. Even if C.J. Sapong returns to the wing where he played against New England, there’s still an open seat on the other side of the field. In an alternate dimension where the Union are more daring than the in our dimension, this would be when Alejandro Bedoya returns to the position he’s seen the most success for club and country. But the reality is likely to be less dramatic than that. Fabian Herbers has returned from obscurity over the past few games, but it’s reasonable to expect Marcus Epps to get the start since he has more (or any) experience on the left wing. Expect the other ten spots on the field to remain unchanged from last week’s road win over New England. The Union will need exceptional performances from several players if they hope to succeed. Luckily many of those players (Bedoya, Blake, the entire back line) have done enough over the course of the season for confidence that they’ll be able to do it again. The pointy end remains a question as it has for quite a long time, but the Union have won every game Cory Burke has started and C.J. 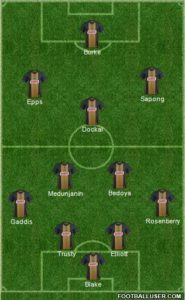 Sapong looks less lost and is less of a liability back on the wing where he made his name with Sporting KC. While they Union have improved significantly since its early-season goal-scoring drought, they’re still not exactly a high-powered offensive threat. But if Sean Johnson doesn’t make his return this weekend for NYCFC, it could be the Union’s chance to get away from that reputation if they’re able to light up New York’s second string keeper. This matchup remains equally important if Johnson makes his return, just with a higher degree of difficulty for the Union. New York’s captain still has enough skill to challenge most teams in the world, but he’s been particularly deadly against the Union in the past. From the first time the teams met to a more memorable embarrassment. Keeping Villa in check will be essential if the Union want a result of any kind. 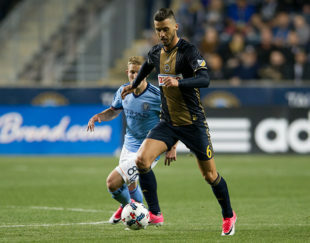 Being fifth in the east and on their way to a U.S. Open Cup Final is unquestionably a great position for the Union to be at this point in the season. But the simple fact remains that they’ve yet to get it done when playing against the league’s best teams. While it is possible that the Union surprise everyone and get a result, it doesn’t seem particularly probable. Fafa suspension is frustrating to say the least. I’m excited to see the CJ/Corey pairing once again. I would, of course, be more excited to see CJ and Corey up top side-by-side with Bedoya out on the right wing but that’ll never happen with this manager. I’m not excited to see the Pigeons fly circles around slow-motion Medunjanin. Bet: Corey Burke gets sent off in this game in the first half. Who takes that action? I’ll pass on that action. Too likely to happen. Admittedly, I’m not as high on Burke as others seem to be but also he has one red this year and tends to make a bad tackle when frustrated he is getting calls himself. And NYC draws alotta fouls. NYCFC is 10-0-2 at home and 4-5-3 away. I would be highly disappointed with anything less than a tie. My prediction is Accam starting on the left. My daughter sent me an instagram post that says Ilsinho is cleared to play this weekend. Whether that means he starts or is on the bench, who knows. Curtin said as much at his presser yesterday too. 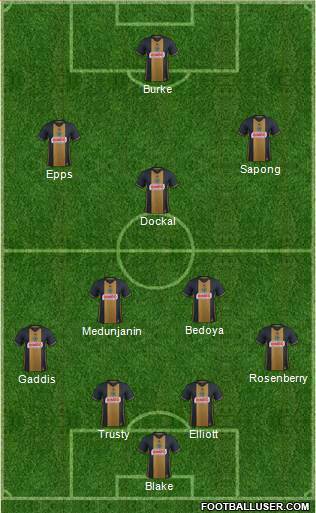 Given who’s fit and available, I’d love to see Bedoya on the wing opposite CJ with Jones pairing up with Medunjanin and Burke up top. Let Jones chase Villa around all game and let Ale make things happen on O. Would also be a crazy aggressive high-press lineup to attack NY’s weak defenders. Seems to be a typo under “When:”. Is it Saturday the 18th or Sunday the 19th? It’s Saturday the 18th per the Union website.